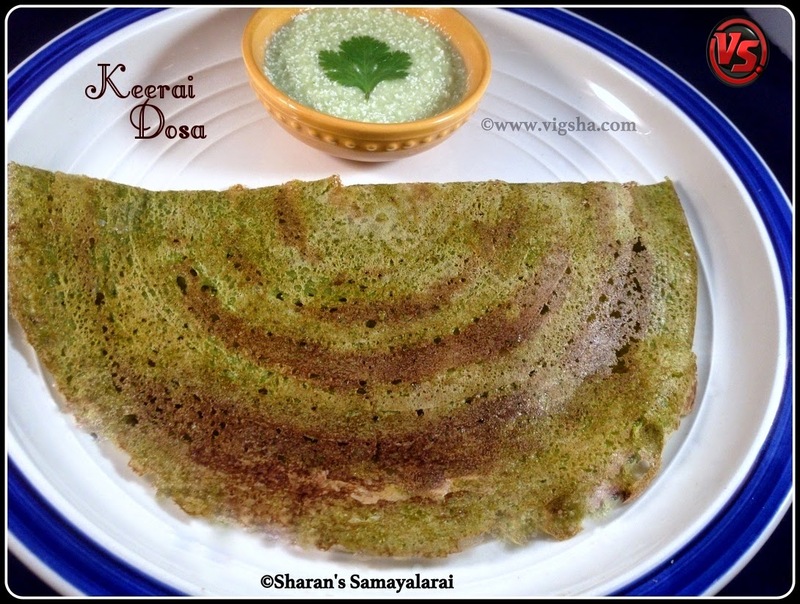 Keerai Dosa | Spinach Dosa is healthy, tasty and flavorful South-Indian breakfast recipe. Mudakathan Keerai variety suits well for this dosa. This recipe is a good way to incorporate this healthy herb in our regular diet. Mudakathan Keerai is called as Balloon Vine leaves, originating from tropical Asia, Africa and America. 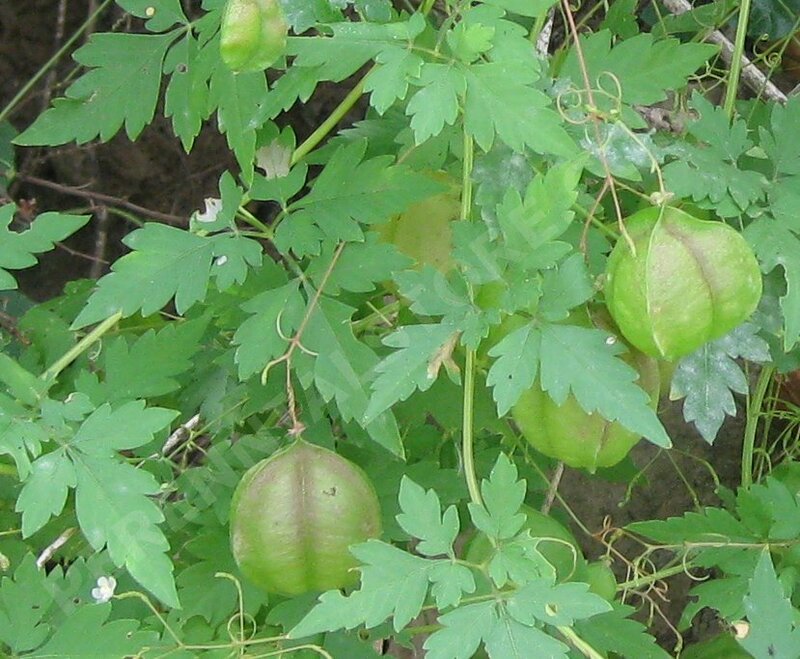 This keerai helps to improve body resistance, helps to activate the joints immobilized by Arthritis and Rheumatism. Usually this herb is used to treat joint pain, body pain, hand and leg pain. This keerai tastes slightly bitter when fresh, but you will not feel the bitterness once cooked. 1). Clean the spinach and wash it in water for 3-4 times. Chop it roughly and add green chillies, cumin powder along with salt in a blender. Puree it to a smooth paste along with little water and mix it with the dosa batter. 2). Heat dosa pan and spread as a thin or a thick dosa. I personally prefer thin and crispy dosa. For softer version, make thick dosa. 3). Drizzle a tsp of oil around the corners of dosa and allow it to cook untill it turns golden brown. 4). Do not flip the dosa, if you want it to be crispy.Use a spatula and fold the dosa and remove it. Healthy dosa is ready. Serve hot with any chutney, I served it with Almond Chutney. # You can use any variety of spinach for this dosa. If possible Mudakathan variety, to incorporate the goodness of this herb in our diet. # Gingelly oil suits well for this dosa.